Jazz up your game with this eyecatching Belgian Aramith Ball. 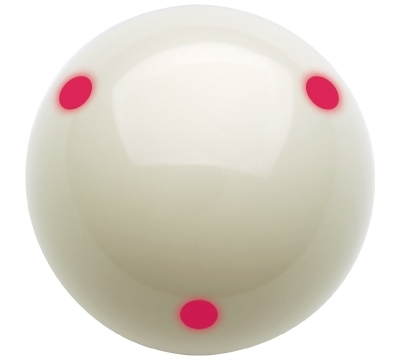 Visualize the rotation with six large red dots on the Super Aramith Pro Cup Cue Ball. 2.25" regulation size.